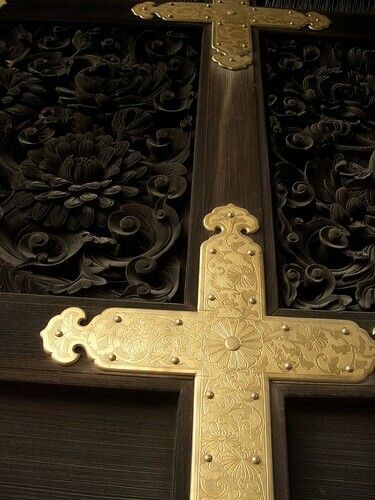 Temple door, Kyoto, originally uploaded by Eric Jeschke. In case you hadn’t noticed yet, there are lots of temple subjects in the Japan 2007 exhibit. I couldn’t help it, the temples were fascinating subjects.